One of the biggest challenges when migrating from one cloud platform to another is keeping the users motivated. If they lose interest, become discouraged, or lose their enthusiasm, it can slow the migration or even sabotage it completely. 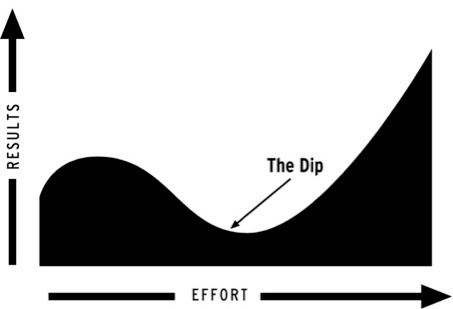 In almost every kind of project, there is a dip in enthusiasm as it progresses. It starts out quite high but fades after a while. It shows up no matter what kind of project it is, including cloud migration projects. Seth Godin describes this phenomenon in his book titled "The Dip." How can you avoid the dip or at least minimize it during a migration project? At Cloudbakers, we've managed hundreds of migrations for clients who go from their current solutions to Google cloud-based apps (among other things). Here are seven ways we've found that help avoids this problem when dealing with cloud migration users. Don't just say the new solution will improve their productivity, instead give them the details about how it will happen. Show them how easy it is to collaborate on the document in real-time, so everyone gets to see the changes as they occur, without the need for a screen sharing app, saving time and hassles when making joint updates. Show them how easy it is to see who is making the changes since their names show up next to the cursor as changes are made. Show them how quickly changes can be restored, if needed, with the built-in revision history going on in the background. Show them how much time they save. They no longer have to worry about version control as G Suite integrates all of the changes made by the team in real time as they're discussing and making the changes. Show how much better results are with a higher quality collaboration — less misunderstandings, no chasing email trails, etc.… More accurate information yields better decisions! Show them how much better the solution is over the old, broken or dysfunctional solution they'd been using. Ask about their concerns, listen closely, and clarify their issues so you understand what the core problem is, not just the visible symptom. Help them to reveal the roadblocks they know about. The new system will be different than what they're using now. They will have to waste time learning the new system. It will be difficult if not impossible because of that. They don't trust this new solution, i.e. better to dance with the devil you know than the devil you don't know. Some people have had bad experiences in the past. And that's usually due to poor planning or poor execution. When working with them one-on-one, you can calm them down. As you work together, you'll be able to reassure them with your actions that this transition is a refreshing exception. Start with understanding and explaining why organization is migrating, e.g. If it's to save money, don’t make that the focal point since most people believe it will probably mean they have to work harder or longer with inferior tools. Instead be more detailed about how it will save money, e.g. Faster completion time for collaborative projects. Consensus during the creation process eliminates rework. Reduces waste where you might have to throw away work because of poorer decisions based on incomplete or inaccurate information. It improves the quality of work. They will have more successes. They'll be able to take on new, more exciting and interesting work because their productivity goes up. Provide group champions with a list of expected objections and recommendations about how to handle them, e.g. email, call, visit your office during specific hours, online webinars, internal wiki, etc. This attention will reassure their concerns and prevent their attitude from spreading to the rest of the team. Sometimes there is no easy workaround for one of the existing processes. It may be a unique piece of software that can't easily be handled by the new system, or it might be an ordinary piece of software that has a few unique functions not easily replicated with the new solution. When you run across cases like this, look for a way of minimizing the effort of integrating the existing system into the new platform. Could be as simple as changing how they store files. Do it in such a way that is at least the same ease of use and level of productivity as the current solution. Managing enthusiasm needs to be done from start to finish. It's not once and you're done. Keep monitoring user activity and periodically repeat one or more of the mentioned steps. We can assist you at each stage of the migration process and can develop creative ways of migrating your existing processes that don’t directly transfer to the new platform. That's how using cloud migration services can help keep your migration on track, while keeping the whole team motivated. If the transition stalls midstream, it can turn into a half-baked solution. In the famous words of Jim Rohn describing the law of diminishing intention, "The longer you wait to do something, the less likely it will ever get done." Have a plan and implement the plan. Be ready to pivot if needed to optimize productivity as you migrate from your old solution to your new solution. Or get in touch with us to see how we can help improve the quality of your cloud transition. We'd be delighted to help you plan your migration and help you execute it at whatever level you decide best. 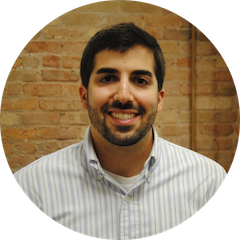 Author Bio: As our bilingual Senior Cloud Adoption Specialist, Zack gets to use his teaching experience to train Cloudbakers clients to extract maximum value from the cloud solutions we provide.